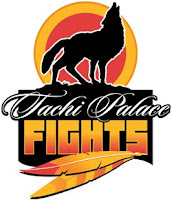 Tachi Palace Fights 11 December 2nd | MMA Fighting Events Videos Techniques UFC Fight Picks and News. In the main event at Tachi Palace Fights 11 "Redemption", Ian McCall will be facing Josh Rave. McCall is riding a four fight winning streak, two of which he finished via submission and has an overall record of 11-2. Rave has won two fights in a row and three of his last four. This fight should be exciting as both of these fighters have a reputation for being able to finish fights! The co-main event at Tachi Palace Fights 11 "Redemption", is Isaac DeJesus vs George Karakhanyan. DeJesus doesn't have a win since he beat UFC fighter Nam Phan via TKO in the first round in February of 2010. He has a solid record at 9-3 but needs a win bad to get his career back on track! Karakhanyan has won his last two fights both by submission in the first round and has an overall record of 16-3 with over 60 percent of his wins coming via submission. Also on the Tachi Palace Fights 11 "Redemption" fight card is MMA veteran and hard hitting fighter Savant Young facing off against former UFC fighter and Ultimate Fighter Show contestant Robert Emerson. Young has fought above his natural weight class for most of his career yet still has a respectable record of 9-8 with 2 of his last 4 wins coming via KO. Emerson has won 2 of his last three fights and he has a lot of UFC experience, having been on 7 UFC fight cards. Tachi Palace Fights 11 "Redemption" will also have a Bantamweight Championship fight. Ulysses Gomez will be facing Cody Gibson for the belt. 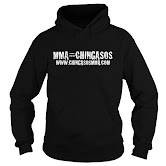 Gomez is 8-2 with 75 percent of his wins coming via submission. Gibson is coming into this fight at 5-1 with 3 of his wins coming via TKO.